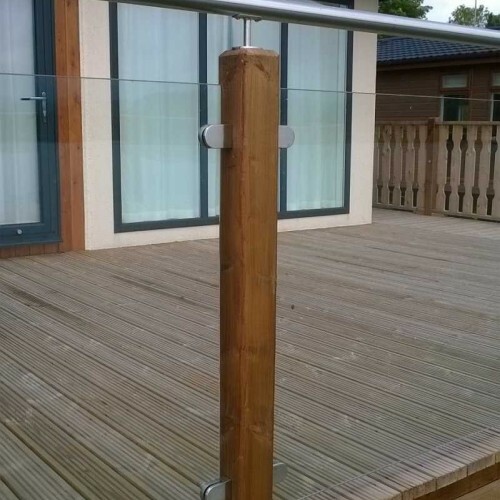 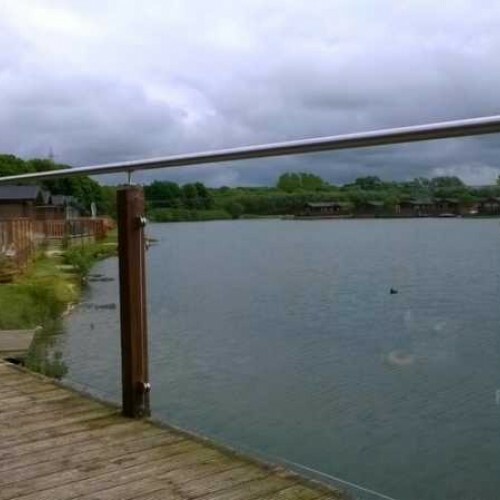 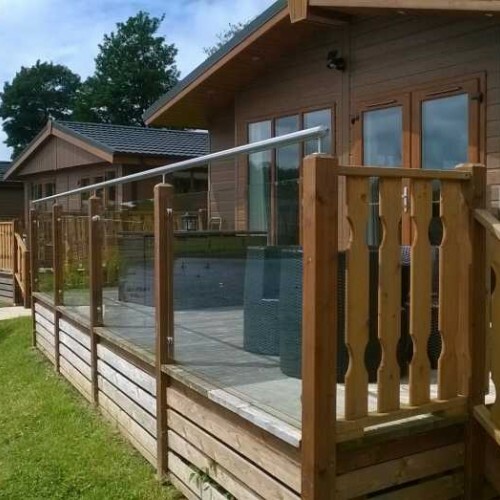 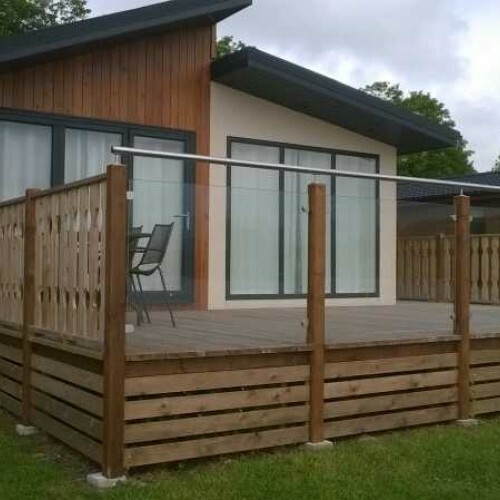 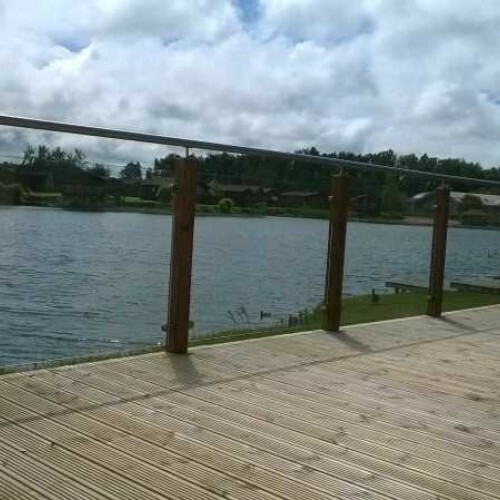 Timber decking posts complete with clear glass infill, stainless steel glass clamps and tubular handrail. 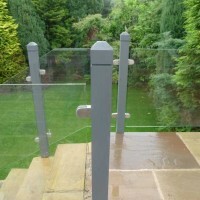 90mm Square tanilised newel posts ( supplied 1.8m long) No varnish supplied. 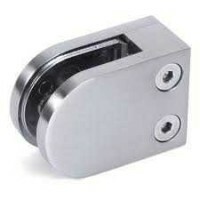 You will be contacted prior to delivering. 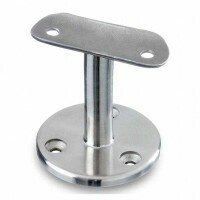 Upstand / inline handrail bracket fitting - To run handrail on top of dwarf walls or vertically as g..